Public Policy Forum study says $400 million needed for NBA arena, $300 million for convention center and rest for other facilities. 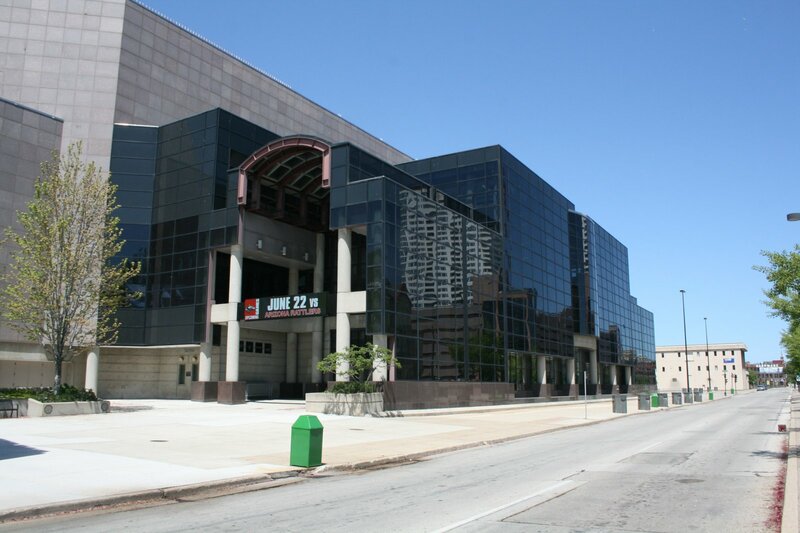 BMO Harris Bradley Center. Photo by Jeramey Jannene. A new report by the Public Policy Forum concludes that the financial needs of Milwaukee County’s “arts, cultural, recreational and entertainment assets” totals $1.011 billion. The report did a detailed analysis of six Milwaukee county owned cultural facilities plus the county zoo and county parks, six privately owned cultural institutions, and three sports and convention facilities. That’s a long list, but the price tag was largely driven by the cost for renovating of replacing the BMO Harris Bradley Center, estimated at $400 million, and expanding the Wisconsin Center, the downtown convention center, at a cost of $300 million. The financial needs of the 17 county-owned assets was $246 million and the combined cost for the six privately owned cultural institutions was nearly $65 million. The total price tag could rise to nearly $1.2 billion as the estimate for a new NBA arena could go as high as $450 million, while an expanded convention center could cost up to $400 million. The study will not be officially released until 10 p.m. tonight, but an early copy of the report was leaked to Urban Milwaukee. The report could lay the groundwork for an effort to create a regional tax to fund these Milwaukee institutions, many of which actually serve more people who live outside the county, particularly residents of Waukesha, Ozaukee, Washington and Racine Counties. In anticipation of this, the Racine and Ozaukee county boards have gone on record in opposition to a regional tax and the Waukesha County Board is considering a similar resolution. The study was funded by the Spirit of Milwaukee, which has always been closely connected to the business community. Certainly the goal of creating a new NBA arena, and keeping the Milwaukee Bucks from moving to another city, is of great importance to business leaders. But they have never previously shown much interest in finding regional funding for Milwaukee’s cultural organizations. The study is part one, its authors note. “In our second report — to be released early next year — we will explore how other metropolitan areas have addressed their need for dedicated funding for their quality of life assets.” The example of Oklahoma City, which created a tax that paid for a new NBA arena and various other projects, has often been cited as a possible model for Milwaukee. The report offers no conclusion as to whether renovating the Bradley Center or building a new one makes more sense, but it cites by now familiar shortcomings of the Bradley Center: it’s smaller (about two-thirds or less in size) compared to newer NBA arenas; not enough of its seating is in the lower level, which can generate more revenue; its configuration was designed for hockey, which detracts from the fan experience for basketball; it lacks a parking complex, which could generate more revenue for a team that is revenue-starved compared to other NBA franchises. Given all these problems, and estimates that renovation would cost in excess of $200 million and still wouldn’t be nearly as good as a new facility, building from scratch seems a more sensible way to go. “A review of other recently-constructed NBA arenas indicates that a new arena could cost in the range of $400 to $450 million,” the report notes. Of course, given likely delays in settling this issue, the price is likely to hit half a billion within a few years. The report claims that the Bradley Center would face an uncertain future if the Bucks left given the amount of revenue they generate. I question that. Much of the revenue generated by the Bucks (and by the Marquette Golden Eagles and Milwaukee Admirals) goes right back to the Bucks. I think a more detailed analysis, with full access to the center’s books, might come to a somewhat more nuanced conclusion. The discussion of the other big-ticket item in the report is equally abbreviated, with four pages devoted to this. The major issue for the Wisconsin Center is its small size: it has 189,000 feet of exhibition space, compared to 502,000 for St. Louis and 475,000 for Minneapolis. Wisconsin Center officials have explored building an addition in the parking lot just north of it, which could cost $300-$400 million and would expand the center’s size by about 75,000 square feet. But that would leave it with just 264,000 square feet, still far short of what other mid-sized cities have. As for the other 15 county assets the PPF studied, the most interesting conclusion the report makes is that, by an large, they do not need much help with annual operating expenses. The report is far more detailed in this area and by and large suggests these institutions are pretty smartly run. They do have capital needs, however, money needed for building repairs and upgrades. Of the $246 million in capital needed by Milwaukee County-owned institutions, $82 million is needed by the county parks, $68 million by the zoo, $37 million by the Marcus Center, $28 million by the Milwaukee Public Museum and $26 million by the War Memorial/Milwaukee Art Museum. The capital needs of the privately-owned institutions studied include $40 million for the Milwaukee Ballet, $16 million for the Milwaukee Youth Arts Center and $4 million or less for each of these groups: Discovery World, Milwaukee Repertory Theater and Skylight Music Theatre. The report notes parallels between a cultural group like the Milwaukee Symphony Orchestra, which would like a new concert hall where it could control the revenue streams, and the Bucks need for a new arena. -I should note that I’m a fan of the Public Policy Forum, and this report is overall a very helpful one for the community. -I would guess the report was leaked to me in hopes I would offer more scrutiny of the issue of the Bradley Center issue than the Milwaukee Journal Sentinel. Indeed the newspaper today published a story with Bradley Center officials suggesting the facility, at age 25, is somehow as decrepit as a “senior citizen,” and badly needs repairs. In truth, the center would be just fine if so many other cities hadn’t built newer NBA arenas that spin off more revenue. That’s the real issue here. -Finally I should note that this report, with its heavy emphasis on facilities, did not address the proposal by community leaders to require any plan for a new NBA arena to include money to upgrade children’s playgrounds and athletic facilities, which truly are in need of repairs. Correction: An earlier version of this article erroneously suggested the Bradley Center was added belatedly to the topics studied by the PPF at the urging of Tim Sheehy, head of the Metropolitan Milwaukee Association of Commerce. That is dead wrong. Well how odd would this seem to those that think tell the taxpayer and they will cough till it bleeds … yeah foreclose on my home so the millionaires can play a game on a ROYAL COURT. Gotta love the thinking…. Privatization is looking better all the time there are just too many freeloaders in government to keep raising taxes to pay them and all of their pet projects. Time to see private companies profit from the good things that the County once took pride in without creating burden for the taxpayer. No special tax breaks should be given to these companies either, nor shall any city, county, or state employee have any stock or stake in any of the companies that purchase the failing facilities that should be put up for PUBLIC BID !!! If Milwaukee wants to build these things they better get ready to pay for it cause the people out state will not send a dime to this corrupt operation and those of you Leftists that run it. Waukesha has already told you that. It’s a shame you didn’t call me, Bruce, before publishing information that is fundamentally incorrect. 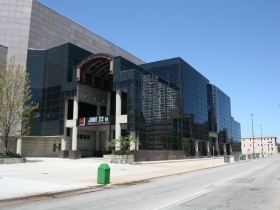 The BMO Harris Bradley Center was not added late in the process — in our original research proposal to the Spirit of Milwaukee in 2012 we specified that while the project would focus primarily on arts and cultural institutions, we also would take a limited look at major entertainment and convention assets. Furthermore, Tim Sheehy and the MMAC had absolutely nothing to do with that decision or any other element of the report’s scope or content. In addition, I take issue with your characterization of our analysis of the BMO Harris Bradley Center and Wisconsin Center. We come right out and say very clearly that these are limited analyses of the organizations’ finances that are simply intended to provide readers with a baseline understanding of their business models and overall financial challenges. As we say in the report, the intent simply was to provide readers with context for the broader “needs” discussion and allow them to better understand elements of the modeling we will conduct in our next report. You are correct that more detailed analysis of the finances of these organizations needs to occur and we never represented that we had conducted such a detailed analysis. Finally, I do appreciate your comment that the report will be a helpful one for the community. It is my sincere hope that the five pages we devote to the BMO Harris Bradley Center do not overshadow the additional 159 pages, which provide a comprehensive overview of the needs of the region’s diverse array of other major cultural and recreational assets. Scott Walker becomes head of the Wisconsin Democratic Party! Another Pink Unicorn spotted in area! Suburban Counties and Milwaukee County Taxpayers beg local leaders for new NBA Arena! wisconsin (sic) Conservative Digest writes op-ed letter using honey rather than vinegar! if i was the potawatomi, i’d see about building the bucks a new arena attached to my casino. maybe I could even parlay the offer to build an arena into a better casino location downtown. I enjoy your inquiries Bruce into things that aren’t openly discussed enough in Milwaukee. You do us all a great service by stirring the pot. I would hope that this report, which is surely well researched by Rob and PPF, isn’t interpreted as a shopping list but rather as a series of “what if” questions. Missing of course is the emphasis on what is really plaguing our community and which should be our highest priority, namely a solution to the problems of public education and the growing irrelevance of our area’s workforce to the needs of modern business. In short, we have a growing base of unemployable people. If there is anything I’d pay more taxes for, it would be to fund a solution to this generational problem that we don’t seem to have the courage to address. You know, if we did development right in Milwaukee all this stuff could be done. When the convention center was built I was mystified that no real effort was made to partner with the Potowotomi to build a massive convention center with a casino/hotel connected to it. Instead we build an inferior convention center and locate the Casino right next to the Slaughterhouses. Instead of starting to build the downtown the area around the convention center is as dead as it was. Then we manage to locate the Harley Museum out of the way and build Michael Cudahy’s testament to his good taste on the Lake. The point is we could have developed these concentrated entertainment areas. We’d have more conventions. More conventions means more traffic. More traffic probably helps the Grand Avenue do better and spur more development. More people coming downtown probably means people are much more receptive to mass transit options that the urbanists want. Too bad we sort of blew it. I would caution against the urge to want to expand the convention center. Most all cities have done this and it is an apparent arms race to see who can build the biggest the fastest, with most having already completed their expansions or new convention centers altogether. The thing is that the convention business is in decline, so such a massive investment would seem to be short-sighted. One place to look is Cincinnati, where its convention center only has about 200,000 square feet of meeting space – just barely bigger than what Milwaukee has now and considerably smaller than what the proposed Milwaukee convention center expansion would include. But this has allowed Cincinnati to hone in on conventions that don’t need 500,000 square feet of meeting space and the city has actually grown its convention bookings and increased tourism dollars as a result. Granted, this improvement did come after a $135 million expansion and renovation in the early 2000s. I live only a few blocks down Washington Ave from the convention center in St. Louis and find myself continually surprised at the number of conventions/conventioneers that come here, but St. Louis does have a warmer climate, a more central location, and a very good light rail system to aid in moving people about. Unfortunately, the warmer, more humid temps are frankly a negative during much of the summer in my view; although, most St. Louisians would certainly not agree. In general, I am not necessarily against public funding for sports facilities; the problem I have with expending a large amount on an arena for the Bucks has more to do with the mediocre play that seems to be the standard in NBA games. I quit following the Bucks sometime in the 90’s because of the sloppy play, particularly, in regard to referees not calling players for traveling, as well as the seeming inconsistency in enforcing the rules because of apparent preferential treatment for certain teams and players. I would contrast that with the NFL and MLB, which do enforce their rules and which wind up producing a much higher quality sports product from my perspective. The NFL also has a more level playing field than MLB does, where teams such as Milwaukee very much have the deck stacked against them due to huge imbalances in team payrolls between higher and lower revenue clubs. I have no idea how much of an issue that is in the NBA today (Kobe Bryant is about the only current NBA player I could probably even name), but I’m guessing that the richer clubs in big markets probably have a sizeable advantage, as they frankly do in baseball. One of the reasons the mayor’s office here in St. Louis gave for shooting down the proposed $700 million revamp of the Edward Jones Dome, which is part of the convention center here, is that the city would lose something like $500 million in convention revenue during the two years the dome would be out of action. Obviously, the city will also lose revenue if the Rams decide to leave at any point after next (2014-2015) season, as their lease allows them to do if the dome is not revamped. I think the NFL is a great product but frankly admire the stand the local leaders have taken on this point in view of the badly decayed infrastructure and associated blight in much of the city that would seem to be more vital, necessary, and deserving of public expenditures. In any event, what is certain is that the city, county, and state will continue to pay $24 million a year for the next 10+ years until the original 30 year bonds financing the construction of the EJ Dome are paid off, regardless of whether the Rams continue to play there. If people in metro Milwaukee do decide to spring for a new arena, I would advise considering the hard lessons that have been learned here, and at the least, contrive a somewhat more intelligent lease in regard to the facility’s major tenant. Everyone looks to Oklahoma City as providing the rationale for the regional tax to pay for the new arena. But ponder an alternative funding source as published in the NY Times. For Some Players, Tax Ensures a Loss Even After a Win. http://www.nytimes.com/2013/12/13/sports/athletes-question-fairness-of-tennessees-jock-tax.html?ref=sports&_r=0. Tax the players playing at the current BMO Bradley Center, Miller Park, Lambeau Field etc., in addition to an increase in the sales tax. I would submit that an increase sales tax should also be tied to funding education – take school funding off the property tax bill, increase the sales tax to 6.5 or 7% to pay for schools and a new arena/convention center. We all need to remember that a new arena will be used by the Bucks for about 41-70 nights and that there are other users who use the facility and generate revenue for the State. By the way, has anyone determined the revenue loss to the State of Wisconsin if the Bucks leave town – lost sales tax revenue on the ticket sales; lost sales tax revenue on food sales; lost income tax revenue on compensation paid – that includes compensation paid to other teams whose players should be paying income tax on their prorata salaries paid for games played in Wisconsin. Some of those dollars flow back to the municipalities and counties who are voicing opposition to funding the new arena. Wonder how they will react when shared revenue flowing from Madison drops and they are then forced to look for other sources of funding – can you say higher property taxes? Good discussion so far. A regional approach does make sense in some respects. But a big problem is suburban communities perception of Milwaukee – a city that can’t get the right grout mixture on City Hall, and even fumbled city wide wifi a few years back. And where has the city been on Grand Avenue Mall? Milwaukee needs to adopt a keener vision, with commensurate accountability, and fast if they want this discussion to proceed. Mike Bark, I agree 100%. Not necessarily with each individual example, but your general position. I call it “pulling a Milwaukee.” You did forget the best example of all…Miller Park. I’m a diehard fan that’s been to the new parks in Pittsburgh, San Diego, Cleveland, Denver, DC, and Detroit (I think Pittsburgh’s and SD’s are tops). I cringe when I hear someone say how stunning PNC is…it’s a postcard for their city. Miller Park? It’s a like cold, dark, dank warehouse (maybe it DOES reflect Milwaukee). Yes, I know Milwaukeeans love to tailgate but so did San Diegans at the old Jack Murphy. Milwaukee could have found ways to build some surface parking for tailgaters and still made it a showcase for the city with a lake, harbor, or city back drop. I currently live in ATL. My wife and I talk of coming home to family, but Milwaukee is a town that’s penny-wise and pound foolish. I’d pay more in taxes if I had to for cultural and sports opportunities. I’m supposed to suffer through a brutal winter with minor league hockey as sports diversion? Living in the ATL can be painful, but I love its energy (it had to be like NY was in the early 1900s). Milwaukee reached its APEX in 1960? 1970? Like Dallas, Atlanta is building a NFL stadium that makes a statement about its wealth; when it loses the Bucks, Milwaukee will only reaffirm its image to all the folks in SEC country (that is, THE power region) as an inconsequential rust-belt city. Todd Spangler, you are also correct. I grew up loving the Bucks, but no NBA player wants to come to Milwaukee. Although, we saw what an impact a change in ownership had on a moribund Brewers franchise. It’s more likely that Milwaukee would win with an NHL franchise; the kid from Saskatoon and Moose Jaw is more likely to be amenable to playing in Milwaukee. The rub is that if funding for an arena gets approved, the Bucks will stay and the NHL will never come. Milwaukee named 9th most violent city in US, 58% youth unemployment in inner city, 30% of tenth graders can read in MPS and the people here are trying to convince suburban taxpayers to fork over 1 billion dollars for multi million dollar basketball players and a lot of other trinkets. Wis. Center has been mismanaged from the beginning yet Gimble is still in charge. What is wrong here? Waukesha, Washington, Racine, Ozaukee have all said no to this package and I can guarantee that Crandon, Wi. will not send them money. If intelligent people were in charge they would ask what our priorities are: Mine are first, teach kids to read and succeed, then fire Flynn and Barrett, hire Clarke as police chief, fund police properly and clean up the mess that they have made. After that look to do these other things. This is like having a family and the parents buying a 90 inch TV, cell phone two cars and all the goodies hewn the kids aren’t properly clothed, fed and educated. African countries tried that 50 years ago and it did not work. Fix the basics then buy the luxuries. Detroit fell apart, not because they didn’t have arenas and teams but because society disintegrated underneath. What ever happened to Jim Crow Walkers milwaukee initiative just before the Recall Election? I think WI consrvatives are happy with a ghettoized black population, keeps them from going to far west to Waukesha. I can’t even count all the times i see black people pulled over for driving while black past mooreland road on i94 and past 124th street off capitol drive. Before anyone gets the idea that the “Oklahoma City Model” can work in Milwaukee, note the following. The City of Oklahoma proposed to it’s taxpayers a specific number of “Quality of Life Projects” in a referendum vote. They did not have to get approval from the state and they did not include any other regional entities. They banked the proceeds from the tax collections and paid cash for the projects. The tax had a hard sunset date. While I would love to see this model work here, I have serious reservations about getting anyone in Madison to let us do it. Jake, who has controlled Milwaukee for the last 100 years? The Left has controlled the city, schools, MMSD, Wis. Center and have watched all of the people move out to Waukesha taking their businesses with them The 1%ers that the Left hate just said goodbye. Milwaukee does everything that they can to screw Waukesha like not give them water and then wants them to pony up for a billion dollars worth of goodies for Milwaukee. @WCD Actually, Milwaukee was prepared to sell water to the City of Waukesha but the proposal put forth by Waukesha didn’t appear to meet the Great Lakes Compact (including muni that don’t need water which is a clear violation and included a request for more water than needed another violation). In fact the DNR (yes surprisingly this DNR) just said so. @Jeff Yup I have a very hard time believing Madison will let Milwaukee do anything like the Oklahoma City Model, what with all the clear supporters of local control (not) in Madison today. The best we can do is a nonbinding referendum until Madison converts its faith to local control. Our esteemed planners ought to consider this. Last time we asked each other to vote for a sales tax increase it worked. For essentials, in fact: transit and parks. Can the entertainment infrastructure rise to the level of getting people to work? If so, a referendum would be a slam dunk. Bill, last time we had a referendum for a sales tax increase… it did in fact pass but no legislation was changed because of it. How do you think another referendum will change anything in Madison? I don’t. I do believe my remark was sarcasm. Miller Park? It’s a like cold, dark, dank warehouse (maybe it DOES reflect Milwaukee). Yes, I know Milwaukeeans love to tailgate but so did San Diegans at the old Jack Murphy. Milwaukee could have found ways to build some surface parking for tailgaters and still made it a showcase for the city with a lake, harbor, or city back drop. Yeah nothing says fantastic baseball like cold winds off the lake and showcasing how environmentally friendly our city is by building a huge baseball park on our most treasured resource. As someone who grew up in Miami, I will absolutely fight any attempt to develop the coast like the fiasco that Miami is with beach erosion and over-priced tourist traps. The lake is for the people of Milwaukee and Wisconsin, not people in skyboxes. Overall the column here and the responses to it are an example of the same tired development cliches that snake oil peddlers like Richard Florida have been selling to cities attempting economic recoveries for the past 20 years. Everyone here has an edifice complex and not a single person has looked at the real things families and others need in this city, including well-maintained parks on the street corner and educational/cultural institutions that are on sound financial footing. No one gives a damn about convention space if their kid is going to get tetanus on the playground. If the Bradley Center has $400 million of deferred maintenance, well, then it is not well run. I would be more inclined to fund something like the Bradley Center if they were more responsible caring for what they got.